Every Wimbledon, the British media spreads news on how far the British players could go ~ yet the spotlight would eventually be on William sisters. Serena Williams and Venus Williams together have gobbled many of them. Palm Beach Gardens Police obtained surveillance video of the June 9, 2017 collision from the perspective of a guard gate of a residential community near the intersection. On the basis of the video, police said in a statement shortly after the crash that, "the vehicle driven by ____________ lawfully entered the intersection on a circular green traffic signal, and attempted to travel north through the intersection." .. it came to a stop as she traveled north through the intersection "to avoid a collision" when a car going west made a left turn in front of her, according to authorities. She then continued north, in accordance with state law, before another car collided with her vehicle, police said. Two weeks after the crash, Jerome Barson died in a hospital. His family filed a wrongful death lawsuit against _____ the famed, citing negligence. Venus Ebony Starr Williams is currently ranked world No. 40 in the WTA singles rankings. Till a few years ago, she was on the top or near and was regarded as one of the all-time greats of women's tennis and, along with younger sister Serena Williams, is credited with ushering in a new era of power and athleticism on the women's professional tennis tour. Venus Williams has been ranked world No. 1 by the Women's Tennis Association on three occasions, for a total of 11 weeks. She first reached the No. 1 ranking on in Feb 2002, the first African American woman to do so in the Open Era, and the second all time since Althea Gibson. Williams' seven Grand Slam singles titles are tied for 12th on the all-time list, and 8th on the Open Era list, more than any other active female player except Serena. She has also won 14 Grand Slam Women's doubles titles, all with Serena; the pair is unbeaten in Grand Slam doubles finals. At the 2018 US Open, Williams extended her record as the all-time leader, male or female, in Grand Slams played, with 80. Williams has won four Olympic gold medals, one in singles and three in women's doubles, along with a silver medal in mixed doubles, pulling even with Kathleen McKaneGodfree for the most Olympic medals won by a male or female tennis player. She is the only tennis player to have won a medal at four Olympic Games. 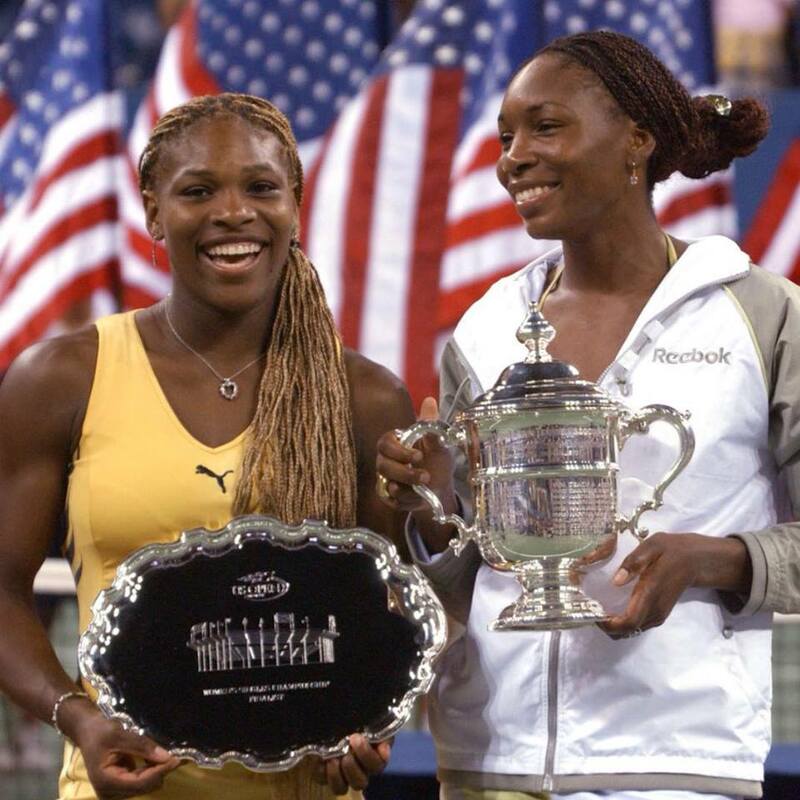 With 49 singles titles, Williams trails only Serena among active players on the WTA Tour. The Williams sisters changed tennis, bringing it a new audience and forcing fans to rethink their perceptions of what a tennis player could be. Both sisters have carved out their own unique legacies through their decades of play, but as the eldest of the two, their story began with Venus. Even after an upset defeat at the 2018 Wimbledon tournament, she is a towering figure in the sport. Celebrity Net Worth estimates Venus Williams' net is around $95 million. That's massive, yet a far cry from its estimate for sister Serena Williams' $180 million. Like Serena, Venus is something of an entrepreneur and investor. She has entered the business world like so many other athletes and founded multiple companies. This includes EleVen, a women's athleticwear line, and V Starr Interiors, an interior design company. The ageing Tennis star Venus Williams is in news that she has reached a settlement in the wrongful death suit centered around a fatal car accident, according to court documents. The accident, in which the other driver's Hyundai Accent crashed into Williams' Toyota Sequoia, resulted in the death of Jerome Barson two weeks later. His wife, Linda, was driving and was injured when the crash happened at an intersection in Palm Beach Gardens. Media reports citing Court filings from last week state that the case was dismissed with prejudice after a settlement was reached between Williams and Barson's estate, but the settlement amount was not listed. No charges were filed against the tennis star and a second driver over the crash in June 2017, Florida authorities said. An investigation supported by video surveillance showed Williams did not violate the other driver's right of way, the Palm Beach Gardens Police said in an investigative report obtained by CNN affiliate WPBF. "Based upon this investigation and relevant Florida state statutes, no charges will be filed in this case," the report said. Two weeks after the crash, Jerome Barson died in a hospital. His family filed a wrongful death lawsuit against Williams, citing negligence. The lawsuit stated that Barson's injuries included "severed main arteries, massive internal bleeding, a fractured spine, and massive internal organ damage." Earlier this year, Williams' attorneys filed a protective order, saying they got less than 24 hours' notice that the Barson family's counsel was going to download vehicle data from the tennis star's SUV, CNN affiliate WPEC-TV in West Palm Beach reported. A judge granted an emergency motion in July that allowed Williams' SUV to be searched. Both parties were given a chance to download and inspect crash data from the two vehicles involved. The tennis star, 37, broke down in tears at Wimbledon in July when reporters questioned her about the wreck. Now the reports state that Venus has concluded a settlement, though earlier reports seemingly suggested that she was not at fault. US laws are certainly far different than Indian laws – more specifically Motor Vehicles Act and compensation. ! !